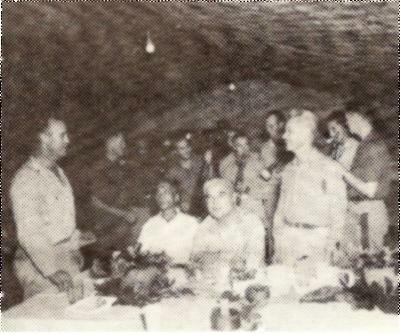 On 20 December 1944, a meeting was held, attended by Messrs. B.J. Bordallo, V.P. 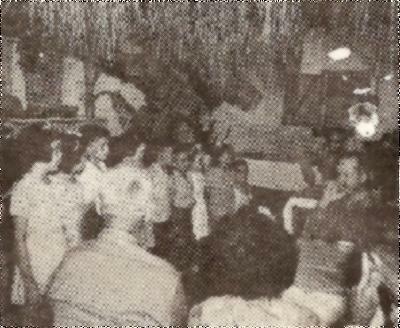 Herrero, E. T. Calvo, R. M Sablan, MD., Pedro Martinez, Jose G. Eustaquio, J. M. Torres, T. T. Calvo, V. P. Martinez, Simon Sanchez, ten Rotarians who were active in the club at the time of the occupation, and Rtn. Lt. Cmdr. Ben F. Hardin, and on 28 February 1945, a list of 18 proposed charter members was submitted to Rotary International with the object of forming a provisional Rotary Club of Guam to reactivate this important institution. 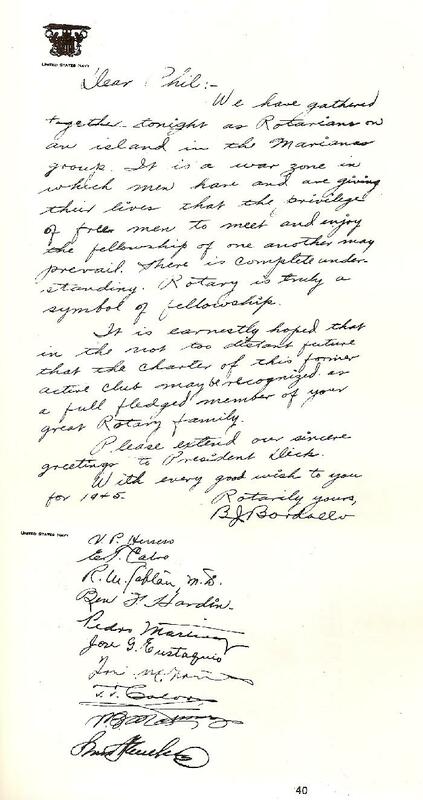 It is interesting to note at that time, Past President Carl C. Butler and Rtn. 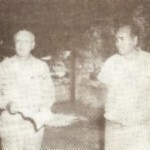 Marcelo Sgambelluri were still prisoners of war in Japan. 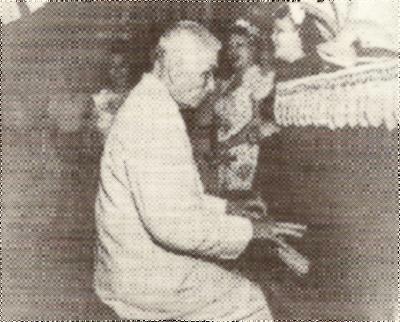 Rotarian Jose M. Torres, one of Guam’s oldest residents and its top musician, plays several numbers for guests at the banquet celebrating the official reopening of the Guam Rotary Club which had been closed up for three years during the Japanese occupation paper were perfected and the application for membership was sent to Rotary International in Chicago by Pan American Clipper. 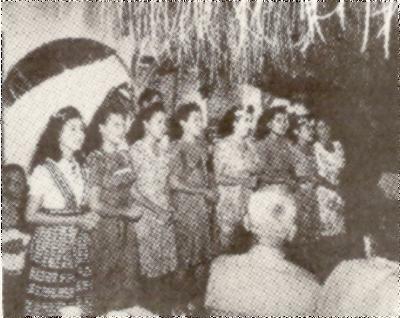 Guamanian children, sons and daughters of members of the newly-formed Guam Rotary Club serenade their elder at charter presentation ceremonies. 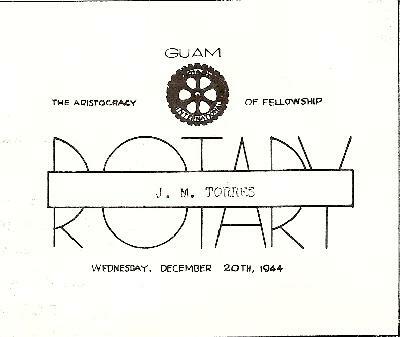 Close on the heels of this meeting, the following article appeared in the March 1945 issue of “The Rotarian”: “Rotary Wheel Turns on Guam”. B.J. 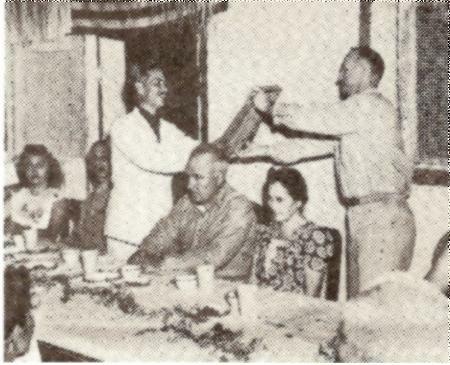 Bordallo expressing his greetings to the host. On his immediate right is Pedro Martinez – Businessman and stock raiser. On the right of Martinez is Simon A. Sanchez, Superintendent of Schools. The background is a CB orchestra. 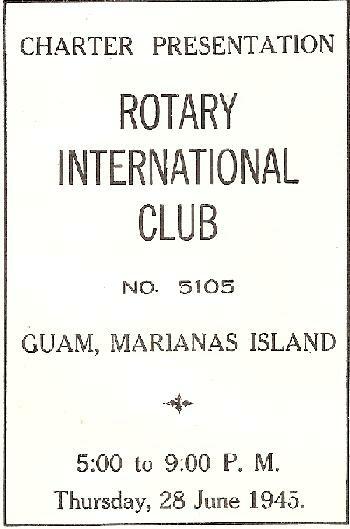 Thanks ever so much for your fine letter of the 6th of July with the program of the charter presentation of Guam in the Marianas. 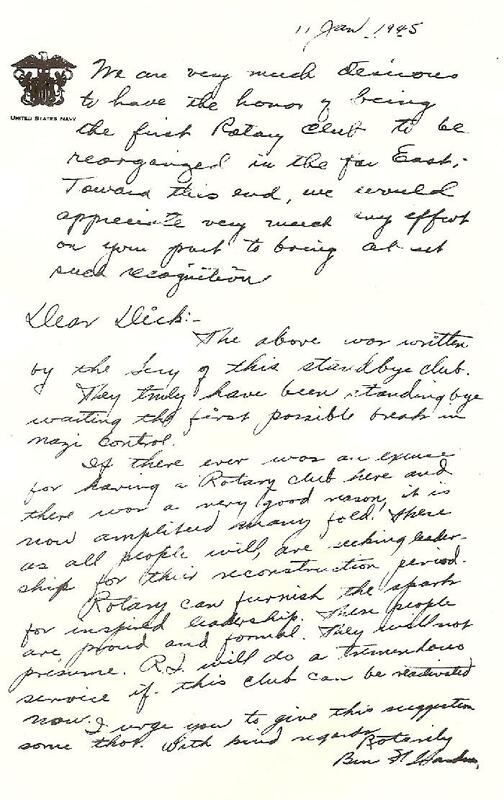 We have made a digest of this letter and of the program for the Secretary’s Letter which is being mailed this afternoon, and a copy is enclosed for your information. We have written to the Marine Bureau of Information in Washington to get copies of the pictures because I have noted that you want additional copies of the pictures, and we’ll make them for you and send them along to B.J. You have done a grand job, and we are very, very grateful to you for your interest! Scene at the Speakers’ table a banquet hold to celebrate the official re-chartering of the Guam Rotary Club. 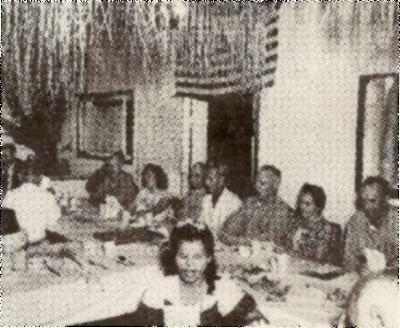 The club has “gone out of business” during the Japanese three years occupation, In Rear, 1 to r. are: Colonel Victor F.Bleasdale USMC, deputy chief military government officer; Mrs. B.J. 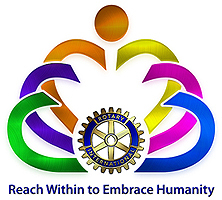 Bordallo, president of the Guam Rotary Club; Major General Henry L. Larsen, USMC, Guam Island Commander; Mrs. Pedro Martinez; and Navy Lieutenant Commander Ben Hardin, international representative of the Rotary Club. A quarter composed of (1to r.) Mrs. B.J. 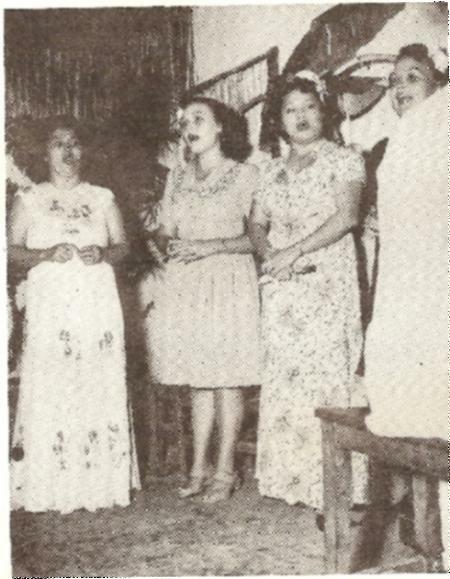 Bordallo(wife of the president of the Guam Rotary Club, Miss Nancy Underwood, Mrs. Rosalie Langford and Miss Rose Underwood, serenade guests at a banquet held to celebrate the official re-opening of the Guam Rotary Club recently.